I have been invited to speak at the International Institute for Culture in Philadelphia next Saturday evening, February 13th. The talk is entitled, What Do Catholic Believe About Icons? Commonly described as “windows to heaven,” images painted in the iconographic style have enjoyed a growth in popularity in the western Catholic Church in the last 50 years, although the style is still associated most strongly with the Eastern Churches and Rites. I will describes the theology of icons, what precisely makes them worthy of veneration, and where and when this theology was developed. Also, I will address the myths and the mystique that are associated with icons and consider their place in the Roman Rite. In doing so, I will compare and contrast beliefs about icons held by members of the Orthodox and the Catholic Churches. I will address some commonly asked questions such as: Is the icon superior to traditional Western forms of liturgical art such as the Baroque or the Gothic? Is the person depicted present in the icon in a way analogous to the Real Presence of Our Lord in the Blessed Sacrament? Does the artist “write” icons or does he “paint” them, or both? And, does the artist have to be a monk or have to fast and pray before working? 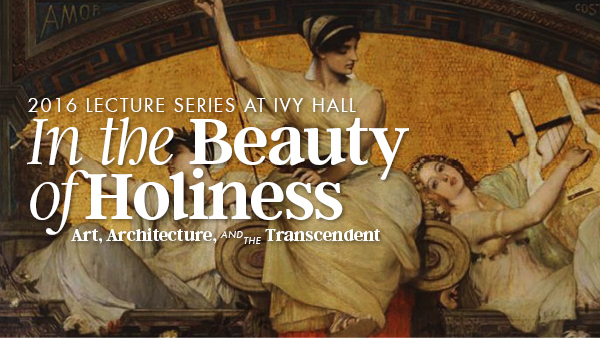 This is part of a series of lectures called In the Beauty of Holiness - Art, Architecture and the Transcendant, organized by the International Institute for Culture. For more information about this and other events organized by the IIC, visit their website at iiculture.org.